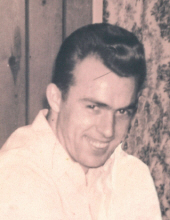 Celebrating the life of Charles Denny, Jr.
Obituary for Charles Denny, Jr.
Charles Denny, Jr., 83 of Broughtontown passed away Friday, September 21, 2018 at his home. He was the husband of the late Angie (Adams) Denny who preceded him in death on September 5, 2006. Charles was born in Lincoln County on May 3, 1935. He was the son of Charles and Delia (Rector) Denny. He had was a fomer foreman for the Scott Rogers Farms. To send flowers or a remembrance gift to the family of Charles Denny, Jr., please visit our Tribute Store. "Email Address" would like to share the life celebration of Charles Denny, Jr.. Click on the "link" to go to share a favorite memory or leave a condolence message for the family.